In 1980 – 1989, the number of games increased rapidly throughout the world. Most of the games we play today were started in this period and we see the most advanced and improved version of them today. Many famous games were produced in this decade, like Zork (1980), Donkey Kong (1981), Pole Position (1982), Pitfall (1982), Mario Bros. (1983), Dragon’s Lair (1983), King’Quest (1984), Elite (1984), The Legend of Zelda (1986), Metroid (1986), Mega Man (1987), Final Fantasy (1987), Metal Gear (1987), Popoulos (1989) and Prince of Persia (1989), Pittfall, Metroid, and Mega Man. 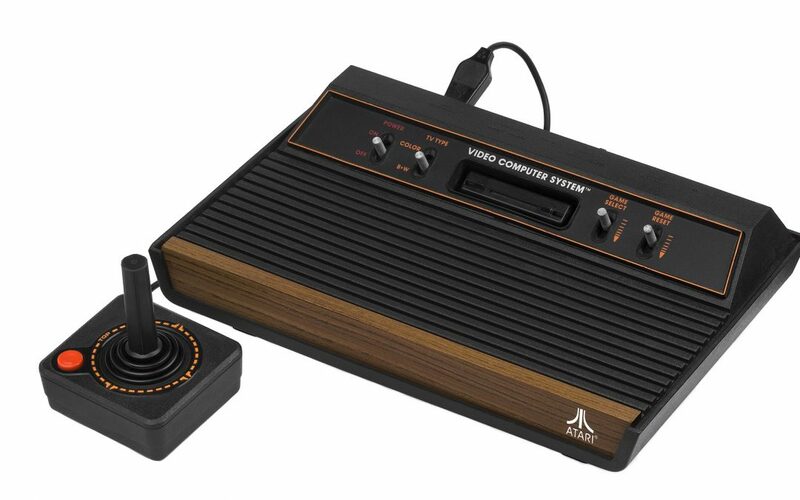 There were many companies came in this decade like the famous “Atari”. It was so popular in those days. They developed games of future gaming industry. Because of the success of companies like Atari many other companies started following it. For example, Mattel introduced the IntelliVision in 1980 and in 1982 the ColecoVision appeared. Many companies appeared creating games for the various consoles, but there were many problems with the quality of games. And Atari, who was the market leader at that point, made some huge mistakes with games like E.T. that cost them millions of dollars and lost them the trust of their customers. It made a major impact on their reputation and finances. (Atari bought the rights for E.T. from Spielberg for a reputed twenty-odd million dollars. To have the game ready for Christmas they had only six weeks to produce it. They managed but produced a game that is often cited as the worst game of all time). It was a major setback for them. As a result, consumers became confused and disappointed and the game console maker crashed in 1984. With this many other companies lost credibility from their gamers. Many companies in the U.S. went bankrupt or stepped out of the game business. But for Japan it was an opportunity which they accepted it with by all heart. So the focal point of game production shifted to Japan. Another reason for the crash was the introduction of new game computers. Very soon after those cheap personal computers appeared that were particularly suited for games because of their memory, graphics and sound capabilities. And it was a “Game Changing” thing for the gaming industry. Probably the most famous are Radio Shack’s TRS-80, the VIC-20, the ZX80 and the 7 Commodore 64. Atari also entered this market, in particular with their very popular Atari ST. They bring it to the market in 1985. The games of Atari ST were so much easier to copy, because of floppy disks or cassette tapes. This also made it possible to save game progress, which allowed game developers to go for more complex games. A player always had to start the game from the beginning before this. They actually can save the game process. Earlier the game had to be completed in a single play session. The computers made it possible to store the status of the game and, as a result, the player could stop and continue playing at a later stage, allowing for games that took many hours to finish. The crash of the console market made it possible for other companies to enter this market. Nintendo introduced their Nintendo Entertainment System (NES) in 1985 and the Sega Master System followed a year later. The NES came bundled with Super Mario Bros. and was an immediate success. Even though the Sega Master System was technological much more advanced than the NES, the NES was the most popular because of the high quality and uniqueness of its games (enforced by Nintendo through very strict publishing deals). It again showed that it is the games that matter, not the hardware. These devices had new gamepads with the directional-pad (or D-pad) rather than joysticks or turning knobs, that changed the way in which games could be played. At the end of this decade an important new development happened. Nintendo introduced the Game Boy in 1989 as the first handheld gaming system. It came bundled with the game Tetris that made it very popular. Tetris was designed by the Russian scientist Alexei Pajitnov and is considered the most addictive game ever. (Even though there is some clear design error in it; when the player has trouble playing the game Tetris becomes harder because the blocks pile up, while it would be more logical to help the player and make the game easier.) The Game Boy was soon followed by the Sega Game Gear and the Atari Lynx. The latter has a color display, but neither was very successful, partly because of the short battery life. For a long time Nintendo was the prime producer of handhelds.